Fortaleza is located near four rivers. Environmental surveys have revealed that illegal dwellings are proliferating on the banks of the rivers, leading to the introduction of untreated sewage to the rivers and the rainwater drainage network. 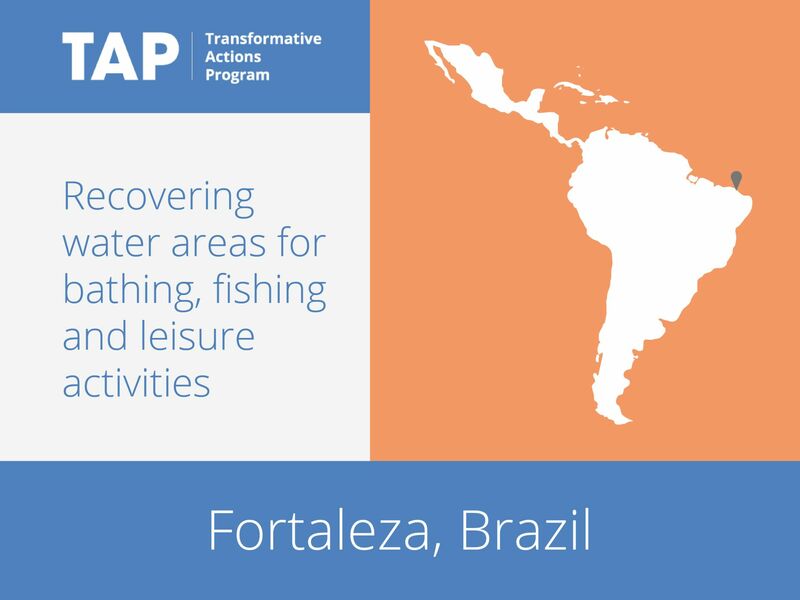 Fortaleza has recognized that good management of water resources begins with the provision of adequate infrastructure to vulnerable and impoverished neighborhoods. It is therefore aiming to provide 16,000 new connections to the to the waste water drainage and treatment system, improving water quality to benefit both citizens and tourists. In addition, an education program will highlight the importance of water management by citizens.